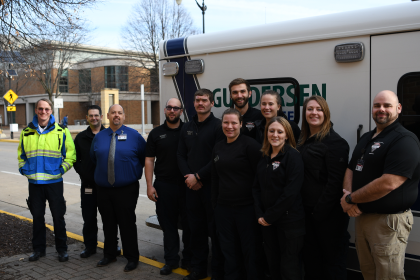 Western was the recipient of an expensive piece of learning equipment, thanks to Gundersen Health System and Tri-State Ambulance. The two organizations donated a retired ambulance for Western’s EMT/EMS programs on Wednesday, Nov. 28. The 200,000 mile ambulance will be used in training scenarios and classroom learning exercises. Despite the high mileage, Western officials say the ambulance will still be a valuable tool for students. Before the ambulance can be used in training, all logos and decals will need to be removed. Thank you again to Gundersen and Tri-State Ambulance!